Yesterday I went to an event at Grid/AKL, a co-working space with all the eye-rolling hipsterisms you expect in a co-working space. Such as a cleverly capitalized and punctuated name. Sigh. But I did think this stairway is pretty cool. And then I thought about how the target tenant for Grid/AKL is, approximately, the grandchild of the original audience for Stairway to Heaven. In other words, if I like and understand this meme, has someone missed the mark? 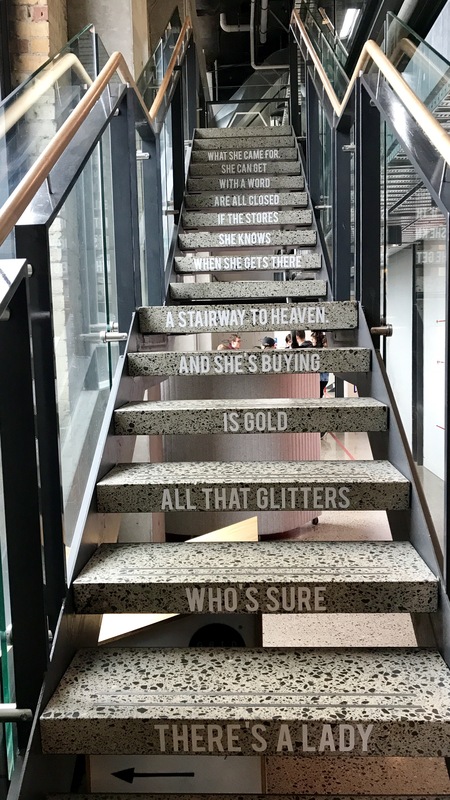 Oooooooh, it makes me wonder…… is the song that timeless, or are building designers perhaps not quite as hip as they think they are?